14th July 1915. Charles Wright. G Social, 1904. Captain, 7th Bn, Leicestershire Regt. Killed in action at Bazentin-le-Petit. On leaving school he went to Hertford College, Oxford, where he entered as an exhibitioner in October, 1909. He achieved a third class in the Final Honour School of Modern History in 1913. He rowed in the Hertford Eight for three years, and in his third year was Captain of Boats and President of the College. After leaving Oxford he went to teach at Earleywood School, Ascot. War was declared on 4th August 1914. 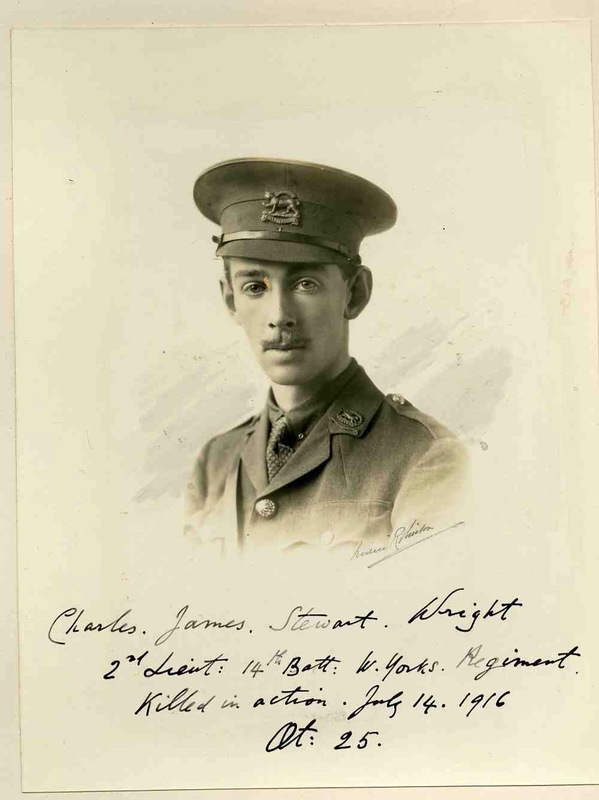 Charles had already joined the Inns of Court OTC on 3rd August. He obtained a commission in the Leicestershire Regiment on 24th September, 1914, and was gazetted captain in August of 1915. 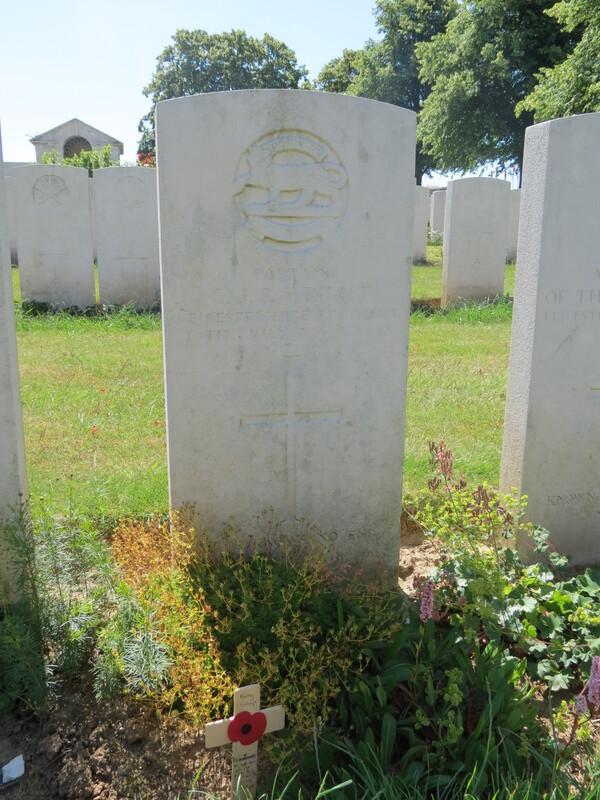 Posted in Commemorating the Fallen of WW1 and tagged 1st Battle of the Somme, Captain, Flanders & France (Western Front), G Social, killed in action, Marching in Memory for Combat Stress July 2015, Schoolmaster on 14 July, 2016 by archives602.